In this tutorial, we will see how to add the author's profile picture and name on a Blogger blog just below the post title. Not only that this can give your blog that personal touch but attaching an image to your blog posts in Blogger can help visitors identify, and perhaps have a level of trust with you. Also, this could be a great addition to blogs with multiple authors, since the info for each publisher will be shown below the titles of their respective posts and this way, they will get the proper credit for their work. Step 1. 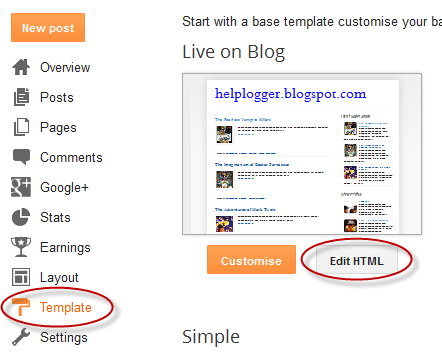 From the Blogger Dashboard, go to "Template" and click the "Edit HTML" button. Step 3. Now that you found the code, delete it. Please note that it should start and end with the tags marked in yellow. This code is repeated two times in the template's code and you will need to remove both occurrences. 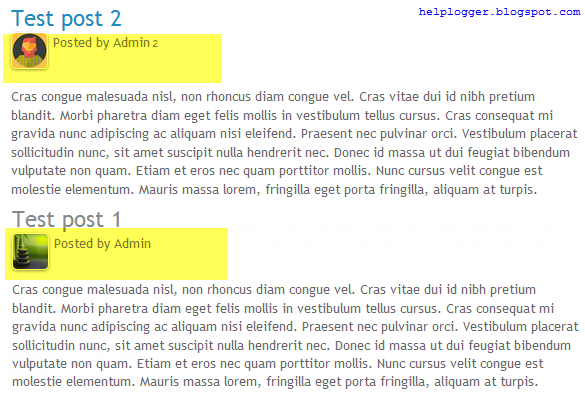 Replace the AuthorName text with the EXACT name that appears on the Blogger profile, i.e. the one that appears in the posts or comments. If it is added in a different way, Blogger will not recognize the username, nor the image and the code will not work. To display the author's pic, add the URL of the author's Blogger profile and the image URL by replacing the text in blue. It is recommended to use an image with a maximum height of 40px and 40px wide. Once done, the photo of the author will appear next to the "posted by" text just below the post title. If you have more than two authors, repeat this block of code for each author that you want to add. Now, let's go one step further and add the CSS styles. Note: to change the size of avatar, modify the 45px> value. Step 7. Click on the "Save template" button and that's it. You should see now the profile picture and name of the Blogger author below the title of each post.